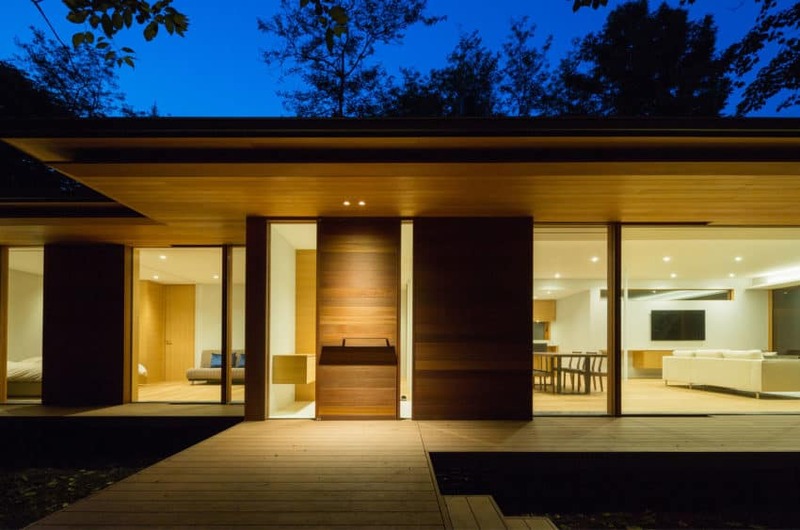 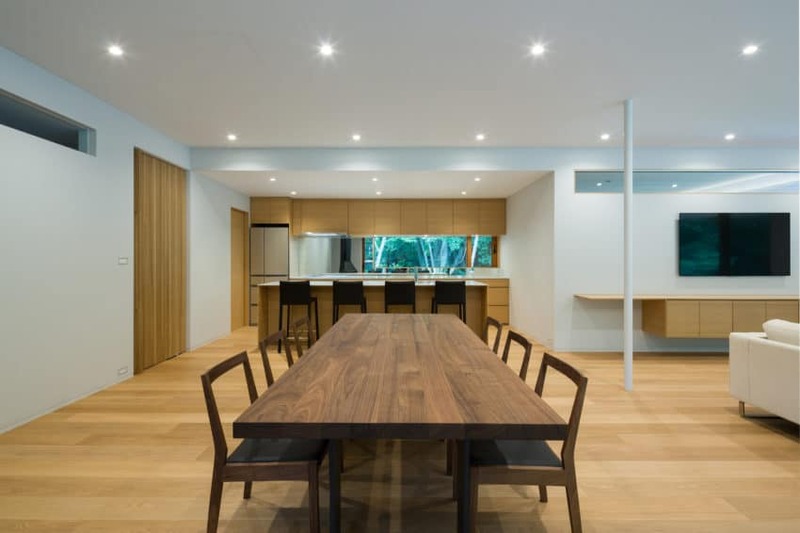 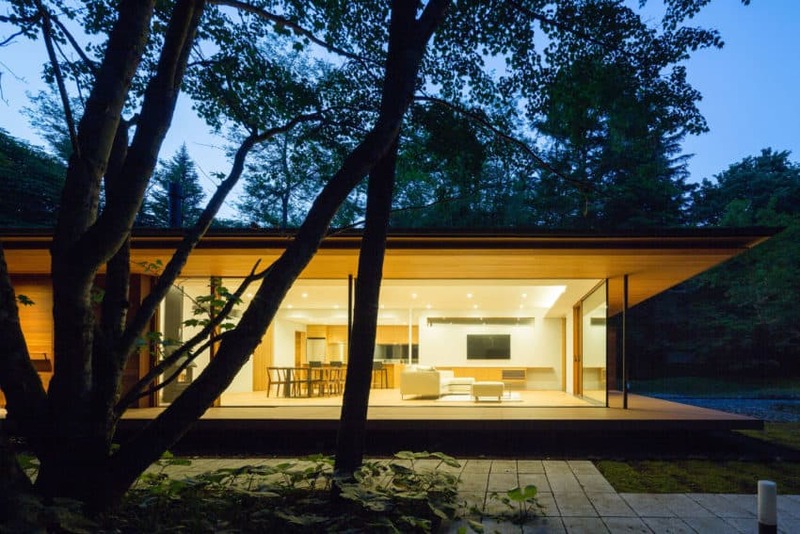 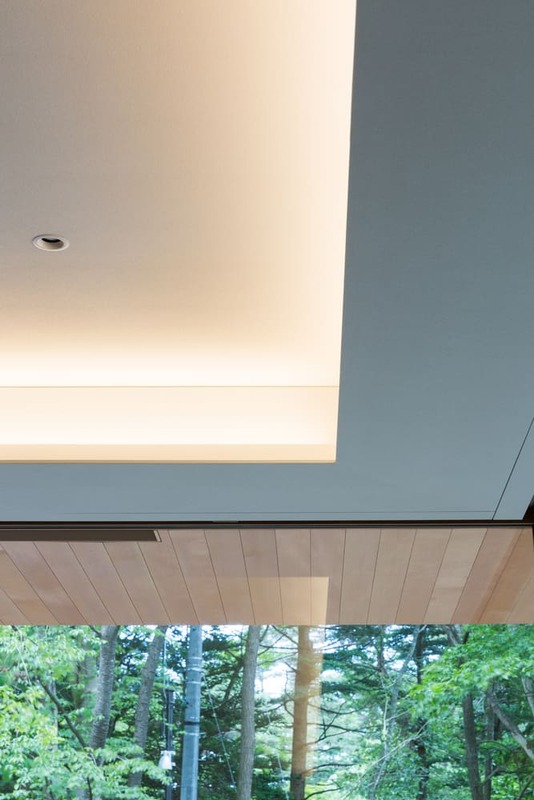 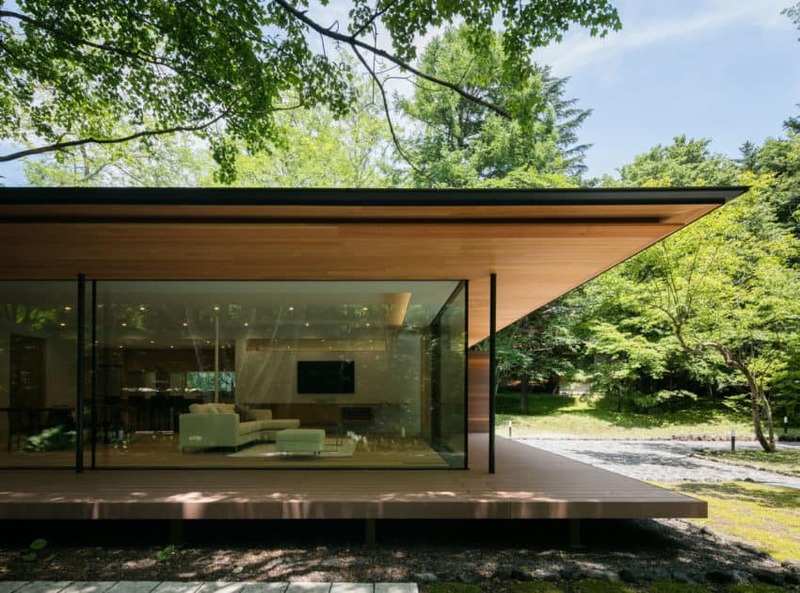 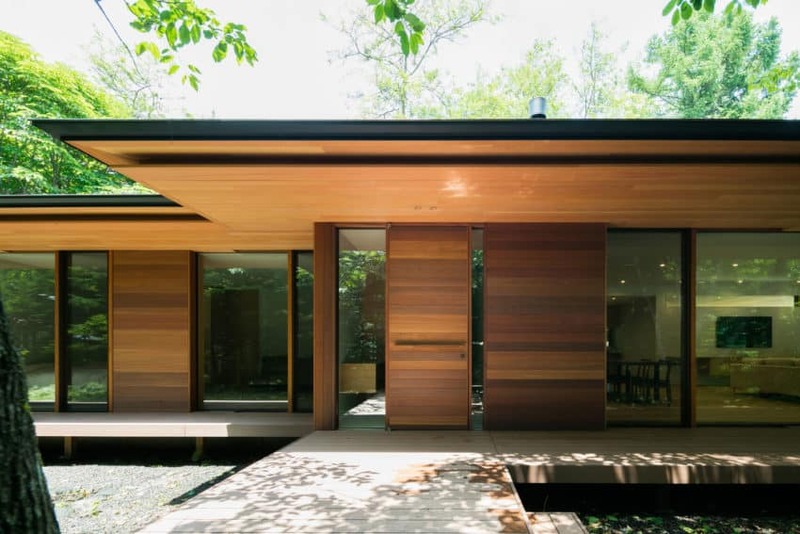 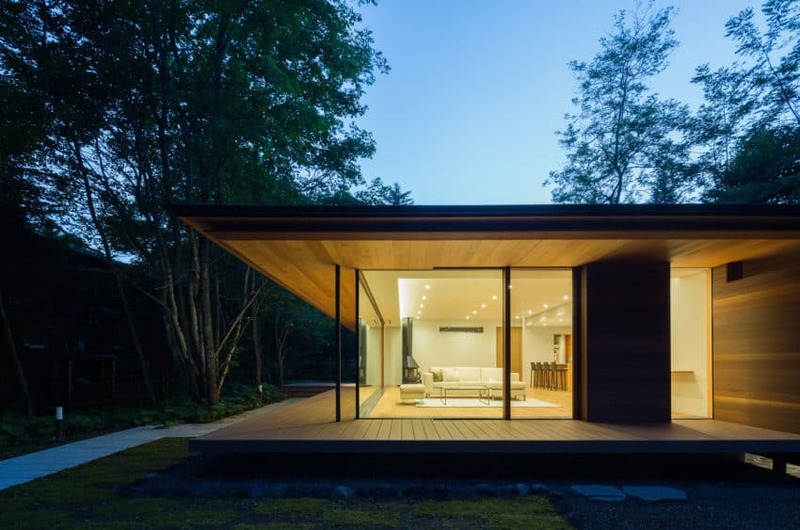 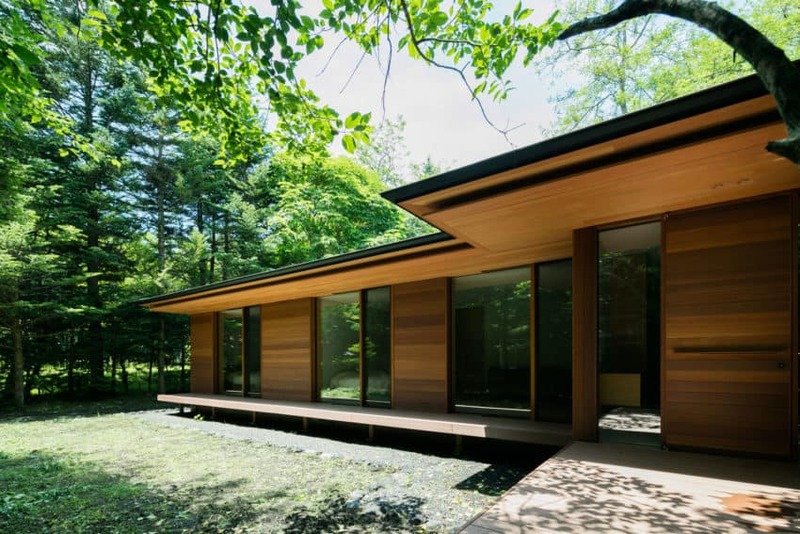 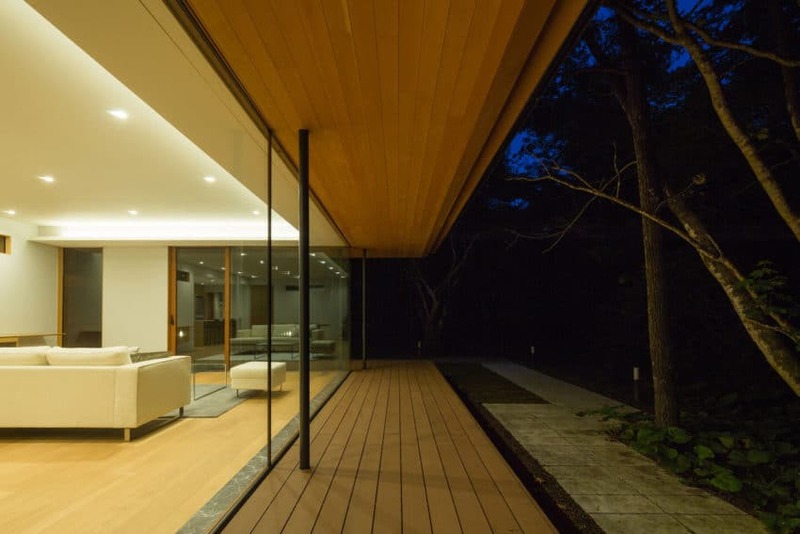 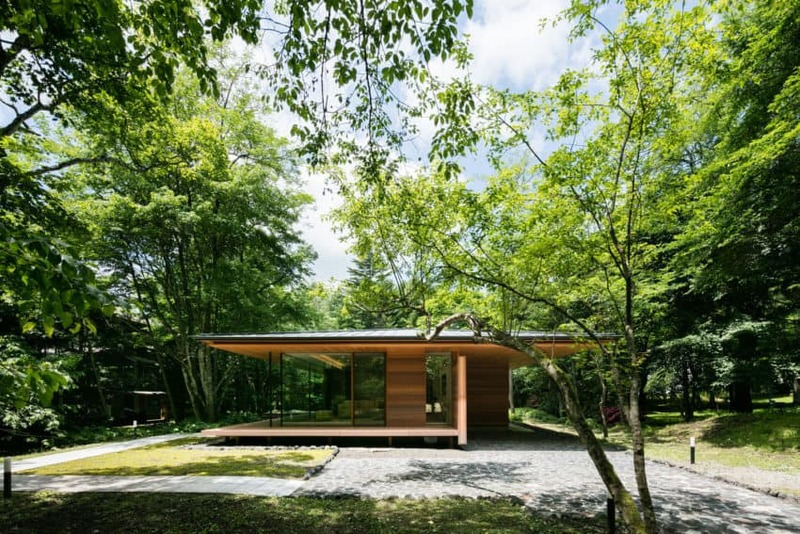 Surrounded by a thick forest of lush green trees and located near a golf course in the city of Minamigaoka, Karuizawa in Japan, this fabulous house is characterized by its use of vast and elegant spaces. 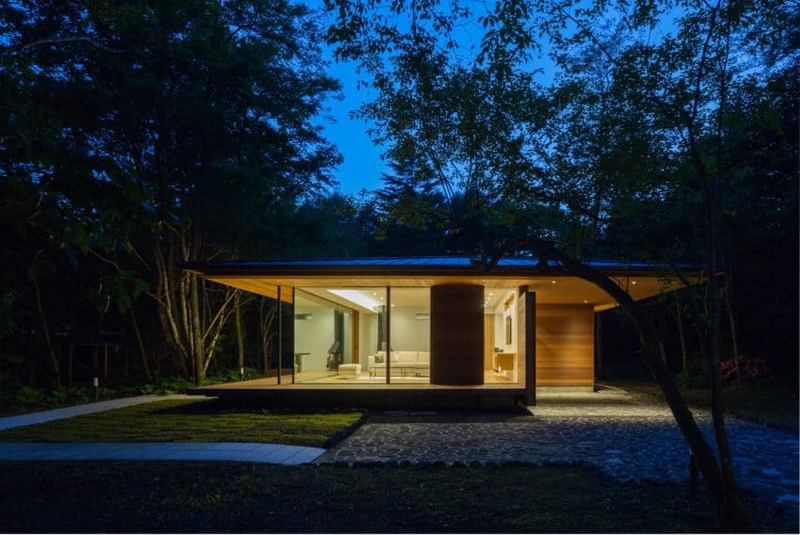 The design was completed by the architects Hirotaka Kidosaki and Haluna Kawada, both belonging to the architectural firm Kidosaki Architects Studio, in 2016, and it covers an area of 180 square meters. 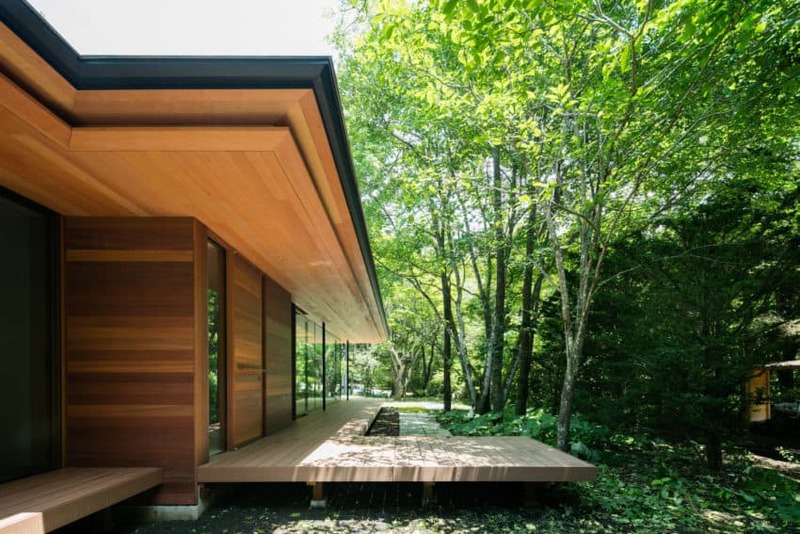 One of the design points was to make the building roof lower than the tops of the forest trees so that it coexists with the neighboring buildings. 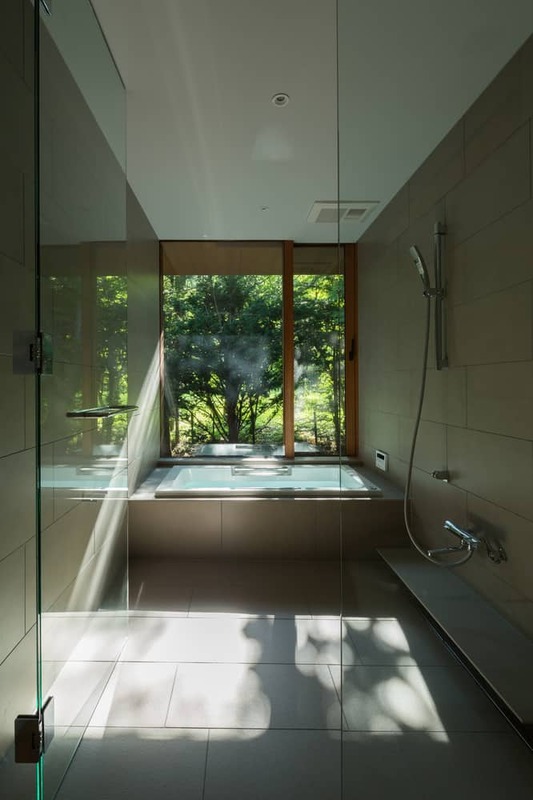 The owner maintains a busy life as a doctor, and needed a quiet environment where he could get away from the bustle of everyday life for a moment and feel refreshed in nature. 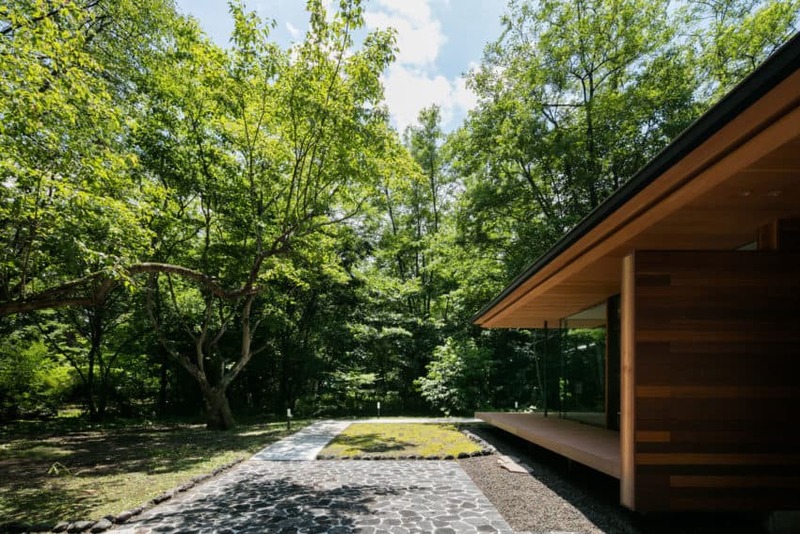 His wife also wanted a relaxing house from the visual point of view, where a large living space would be unified with the green of the forest and the environment. 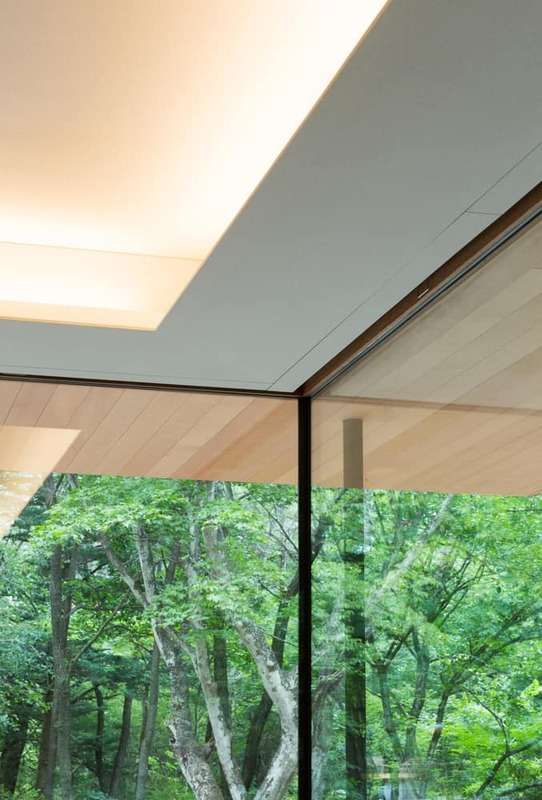 Its interior, of straight and soft lines, is filled with the natural light of the day which flows in through the glass doors that separate the inside from the outside, but that at the same time allow both spaces to merge into one. 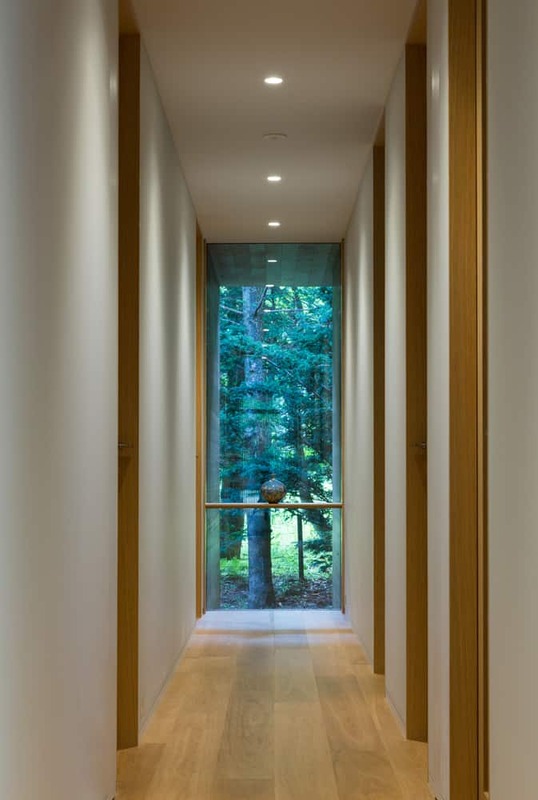 Inside, we can walk through the rooms without barriers and enjoy a view from each room.